KAZAN, RUSSIA - Japan will face a tough task containing Senegal’s speedy, skillful attacking players in its next World Cup clash, left back Yuto Nagatomo said Wednesday. 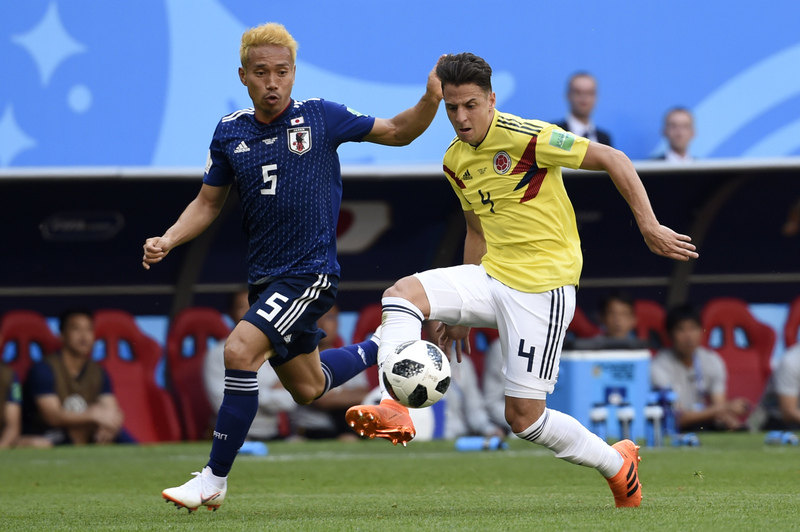 A day after Samurai Blue’s surprise 2-1 win over 10-man Colombia in Saransk, the squad has turned its attention to the Africans, who beat pre-tournament Group H favorite Poland 2-1 following Japan’s match. Members of the squad watched footage of the game featuring their remaining group-stage opponents at Moscow’s Spartak Stadium prior to Wednesday’s training session at the Samurai Blue camp in Kazan. “(Senegal’s) speed and physicality is something I expected, but what stood out was their discipline,” Nagatomo said. “They moved as a connected unit, with every piece interlocking. The 31-year-old defender, who saw a number of Senegal players up close during his time in Italy with Inter Milan, said he had been impressed by Monaco forward Keita Balde, formerly of Lazio, as well as Torino forward M’Baye Niang, who scored for the Lions of Teranga against Poland. The Japanese squad returned to Kazan by charter from Saransk on Tuesday night following their win at Mordovia Arena. Players who took the field against Colombia undertook light recovery work indoors, while other members of the squad trained outdoors at the headquarters of Russian first-division side Rubin Kazan. Tuesday’s historic win, the first by an Asian side against a team from South America at the World Cup, took place in an atmosphere reminiscent of a Colombia home game, with fans of La Tricolors far outnumbering their Japanese counterparts. Japan will play Senegal at Ekaterinburg Arena on Sunday. The two sides are joint leaders of Group H with one win apiece and identical goal difference.